A special double-issue for BCS #200! 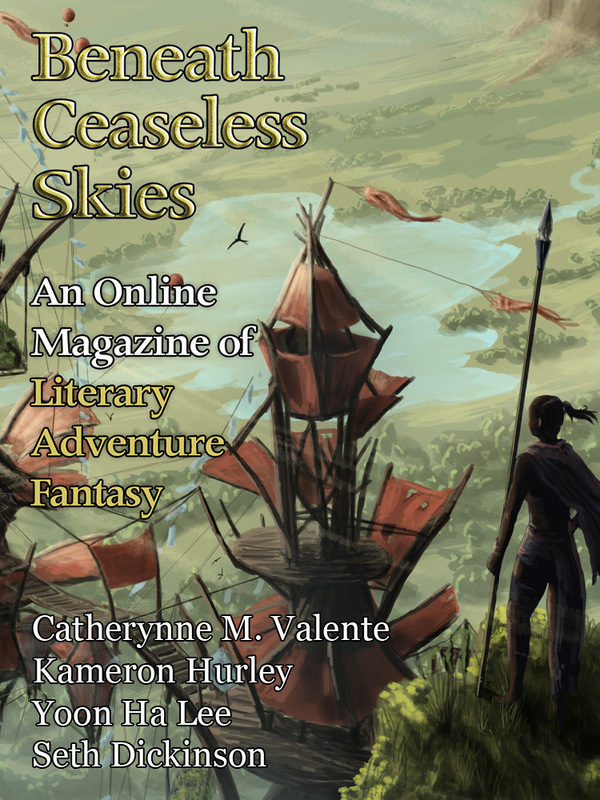 Featuring two bonus stories, two guest-narrated podcasts, a BCS Ebook Subscription Drive, and new cover art: “High Above the Savannah” by Martin Ende. She shouldn’t have gone to the trial, or talked to that stupid reporter, even for a second. Her father would know, now, that it was her who had his file. It was her who had been called upon to bring him in. She wouldn’t have shown up at the trial otherwise, and he knew it. “Two bits to the one whose family it isn’t,” she said to Merriz, and rolled up to get a look at the shooters. My childhood was normal, which no one wants to hear, because no one wants to believe they could live with a collaborator, but it’s true. Tamalat studied Brio. He wasn't going to thank her when he woke up. She didn't feel the least bit sorry. "He was a better man once," she said. She remembered the war; remembered the snow churned to red slush, the arguments between Brio and his brother the commandant. "He left his shadow behind when he went into exile, thinking to start anew. It didn't work the way he intended." And we won't be lovers, Tamalat thought, unless I can restore your shadow. She knew better than to sleep with him in his current state. This is how an abnarch is made. This is the torment to which Kavian gave up her first and only born. The wizards of the Paik Rede, dam-makers, high rulers of isu-Cter, seal a few of their infants into stone cells. They grow there, fed and watered by silent magic, for fifteen years. Alone. Untaught. Touched by no one. And on nights like these, their parents decant them for the war. They pass through everything that will be lost if they fail.